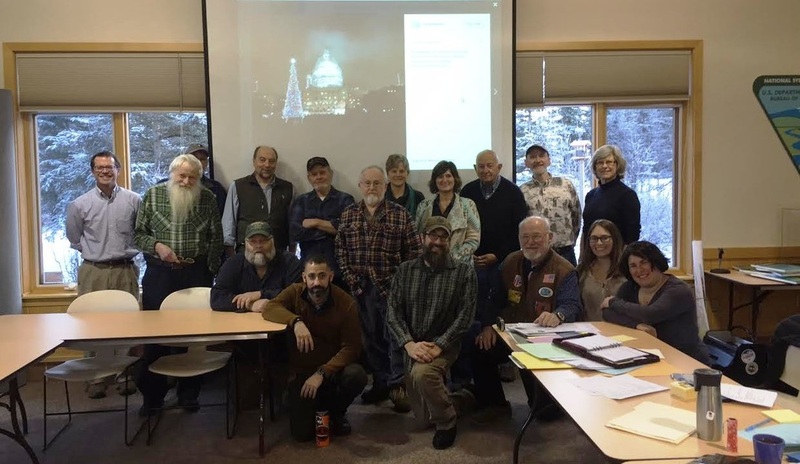 The Iditarod Historic Trail Alliance hosts and participates in events throughout the year across Alaska! This summer will be seeing lots of work done on the Iditarod National Historic Trail, and you can help! 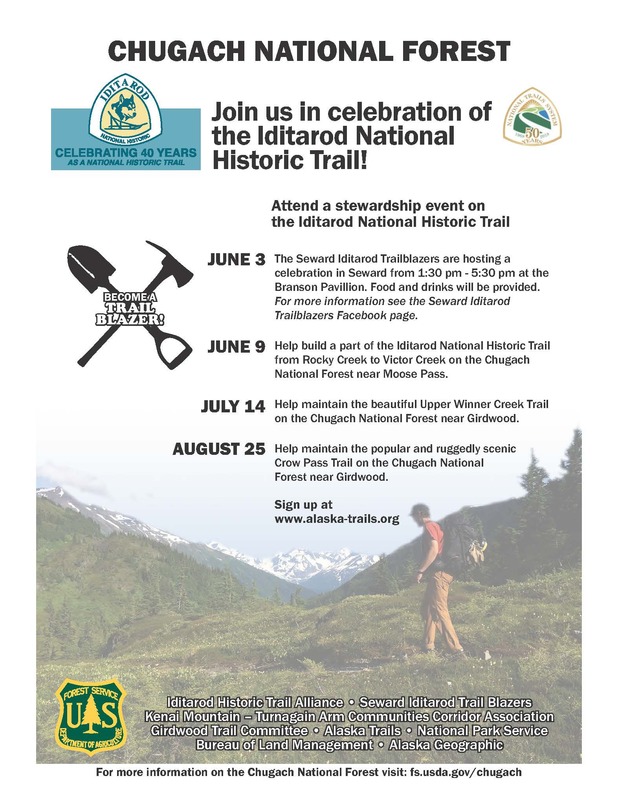 Spots are rapidly filling up, but act now to join us as we celebrate the Iditarod's 40th anniversary and the 50th anniversary of the National Trails System through stewardship and recreational events this summer! August 16: Join us at REI to hear about all the amazing work that took place this summer on the Iditarod, as well as about how you can become involved with future projects to help preserve and maintain Alaska's most iconic trail! A flyer detailing events hosted with the Chugach National Forest is available here! Check out our Past Events Archive, and stay tuned for more events!